Set in Edo period, Japan, a women risks her life to keep her true love. 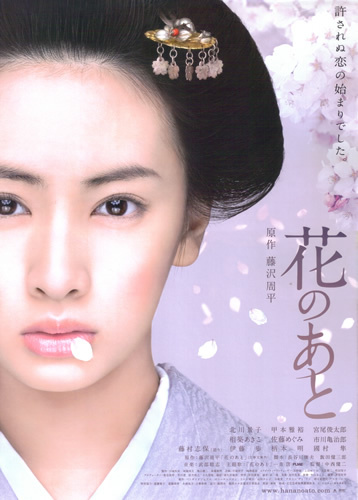 Ito (Keiko Kitagawa), daughter of a clan official, encounters Magoshiro Eguchi (Shuntaro Miyao). 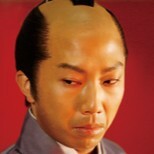 Magoshiro is a low ranking samurai sparks an attraction with Ito. Ito challenges Magoshiro to a sword match using bamboo sticks. Mahoshiro accepts. The pair's duel causes sparks to fly an attraction from both sides. Preview & press conference for "Hana no Ato" was held in Tokyo on October 8th, 2009. Maria Mar 08 2012 12:13 pm Could you help me? I want to find the ending song. Anybody knows how it calls? jenny Oct 29 2011 6:58 am I just finished this movie; it was sweet, beautiful and perfectly captured Edo period Japan and the story of of a woman who found love in an unlikely place. I would recommend this movie to those who enjoy idyllic and quite slow moving plot that emphasises details instead of large plot movements. In truth, it was simply a beautiful. XD Aug 01 2010 9:22 pm Is this a movie or a TV series? TJ Apr 14 2010 7:49 am It was a great movie. I enjoyed it alot. We saw it yesterday on a JAL flight. Im glad they subtitled it, and I hope it comes out on dvd soon. =) Mar 16 2010 1:02 pm Would love to see this movie!